After a lifetime of hard work as innkeepers, a couple prepares to retire to Florida. But life has different plans in store for them. 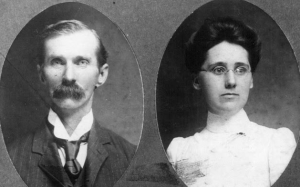 This was the family story that came up more than any other in Kathleen Tesluk‘s family, and as a genealogically-minded child, she was always attuned to such family lore. When she was eleven, she conducted her first interview with her grandfather, as a high school student she started making research trips to county courthouses, and she’s been at it ever since. 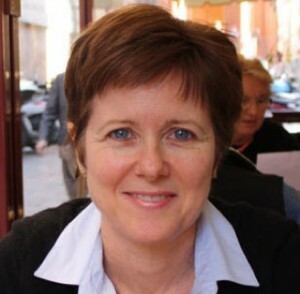 She’s a board member of the New York Genealogical & Biographical Society and blogs about family stories and genealogy research tools at Voices from a Distant Past. 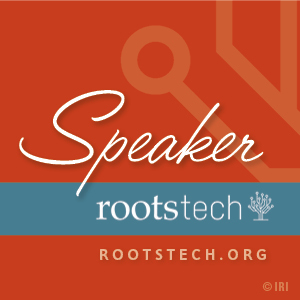 Katheleen’s been on Treelines since shortly after our launch at RootsTech. She wrote us, “I am particularly intrigued because you are showing us something new: how to take the ‘dry’ documents that we are researching and reveal the vibrant, living people they represent.” From our conversations, it seems like Kathleen was doing that all along — Treelines just gave her a platform to share the results. You’ve been working on your family history for many years. What about this story of the twins led you to make it the first story you shared on Treelines? My grandmother was one of the twins, so I grew up hearing this story over and over again — it was such a part of their sense of identity. Telling this story on Treelines was a no-brainer, because the facts are so engrained in my memory of my grandmother and her sister. Everyone who reads the story is struck by the part where you write that Jessie Lee prepared for death when she learned she was pregnant at 45 in 1919. It’s just one of those period details that captures the dramatic differences between our ancestors’ lives and our own. Any advice for other family historians looking to find those small bits of historical context for their own families? The best advice I could give would be to scrutinize every detail of your stories — sometimes the punchline is hidden in plain sight. A family anecdote explains what I mean: Jessie Lee came from a long line of southerners. During the Civil War, successive Yankee raiding parties came through their farm and helped themselves to food and provisions until the family had nothing left but the honey in their beehives. A group of soldiers wanted to take that, too, but the only vessels they could find to take it in were the “honey pots”……. and my family has been laughing at them ever since. I told this story to a friend recently, and got a puzzled look in return. Then I realized that most people don’t know that “honey pot” was a euphemism for “chamber pot.” So, don’t take any story at face value; try to dig a little deeper to see if you can flesh out the details. Google is a godsend for discovering obscure facts! Why did you want to share a story about your family publicly on the Treelines site? I am driven by the idea that the more we know about our history, the easier it is for us to put our own lives in perspective. Stories help us see that our ancestors have experienced life’s trials and tribulations and ultimately survived — so we will, too. There was a wonderful article in the New York Times not too long ago describing how families that know their history are more resilient and psychologically healthy than those that do not. I think that sharing stories publicly can be reassuring because it provides more evidence of our common humanity. 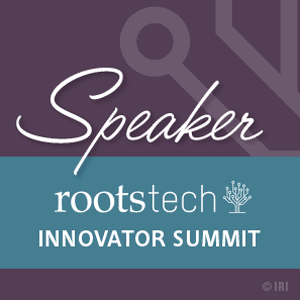 With all of your experience doing traditional genealogy, what is it about stories that you find so compelling? Stories add color to an otherwise black and white view of the past and adds a human dimension to the dry facts we uncover in our research. I will always be a traditional genealogist because things like factual accuracy, citations, and source analysis all matter to me. The truth is that stories are the means by which the past lives on to touch and inspire the next generation. Through stories, family members who are not genealogists suddenly understand why we are so obsessed with history. Like all good stories, the end of your Treelines stories left me wanting to know what happened next??? How did Jessie Lee & Abel cope with becoming parents again at 45 and 60? My grandmother, Kathleen Lynch, wrote: “With two babies to raise, Mother and Daddy decided that they couldn’t afford to get old and die any time soon! They bought the Arcade Hotel in Springfield, Ohio, and we began a life of hotel living….” Sometime before 1930, Abel and Jessie Lee left the hotel business, moved to Washington DC, and bought a farm in the country. Their son, Julius, was employed in DC by the US Government, and I suspect they moved in order to be near him. It wasn’t exactly oranges and grapefruit, but Abel worked the farm until his death in 1940. 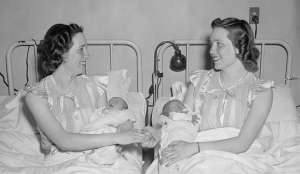 In 1944, Julius died of a heart attack at age 50, so Jessie Lee always called the twins her “blessings” because if they hadn’t come along, she would have had to live the last 20 years of her life alone. Another great-grandfather of Kathleen’s was a real black sheep! Read about him in her Treelines story, A crafty fellow.